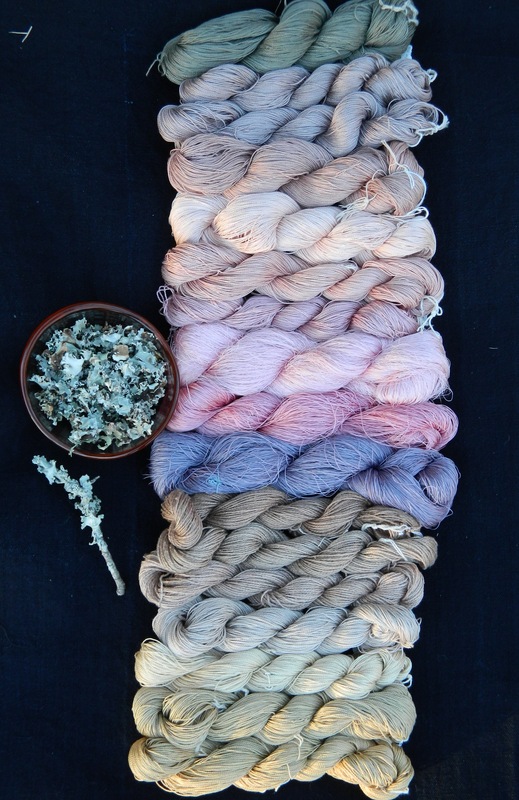 Also known as unwhiskered ruffle lichen, here are some color ranges on silk I’ve gotten from my lichen by combining it with acorns, Japanese Indigo, iron, soda ash and ammonia. Of course not at once! There is quite a color range available. 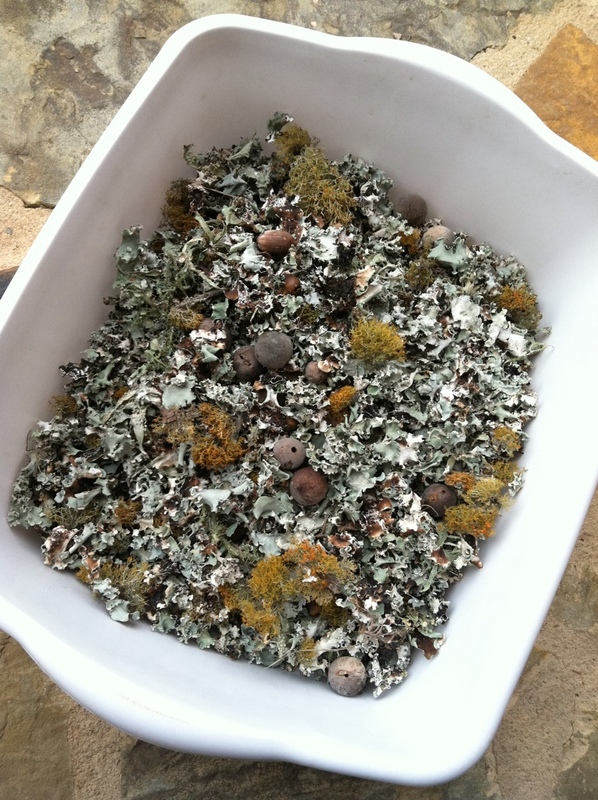 I still have walnut and agarita to explore with lichen in color combinations. 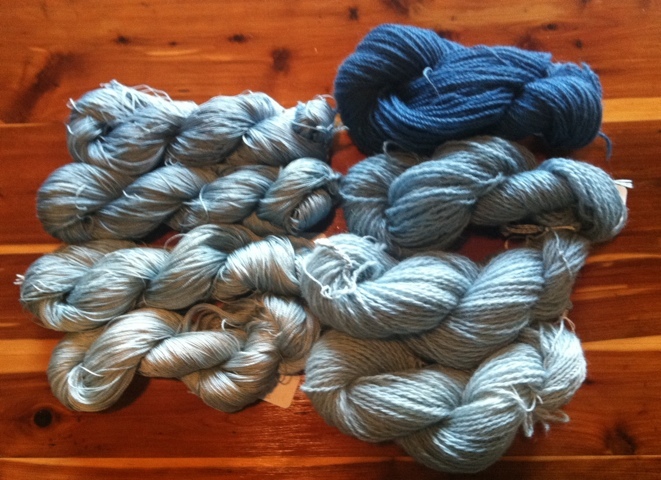 Next up, lightfast tests….and more dyeing….what colors can I find in my valley! Always collect ONLY windfall lichen. Our Texas winds kick up every once in awhile here in HIll Country and when we have a heavy dew morning I have plenty on the ground to harvest! In a later post I’ll detail how the colors were combined, but I couldn’t resist sharing since the skeins had dried and were so pretty! 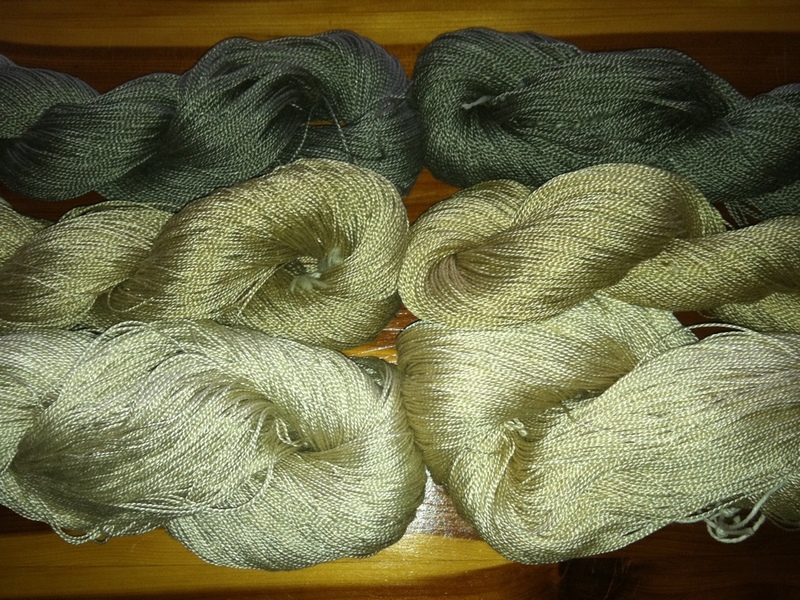 The yarn was sourced from Habu and from Georgia Yarn Company. They all held up well in the dyepot.